Metacrock's Blog: The Atheist montra: "there's not a Shred of evidence for your God"
The Atheist montra: "there's not a Shred of evidence for your God"
Been posting on CARM again. You know what trouble that brings? The atheists have been fired up repeating their mantra "there's not a shred of evidence for God." There are times when I find that annoying and times when I find it amusing. The reason for either reaction is because all believers know they have reasons for believing and a lot of those reasons are based upon good evidence. Even those who don't have evidence sometimes have sophisticated reasons why they don't need it. The atheist world is simplistic it defies anything sophistocated. This is a true example of what Tillich meant when he said "if you know that being has depth you can't be an atheist." The atheist is assuming that the so called "default" amounts to the basis for a tennable world view, assuming (fallacious) that the alleged default is based upon a true appraisal of the world as it is, which is reflected accurately by a surface view of things proved to exist (or thought to be proved to exist) and no need to delve any more deeply into the matter of being. Good points, Metacrock. Atheism in itself is not a world view-- that's why atheists can say, correctly, that all atheism is disbelief in a diety or dieties. But the fact remains that everyone, whether they realize it or not, has a worldview, and atheism is one tenet of such a worldview-- which usually contains, as you pointed out, the belief that the only things that can be believed are things which can be proven scientifically. But this belief cannot be proven scientifically, so it's self contradictory. "There's not a shred of evidence for your God" is an ideological statement. Those who believe it need to see it for what it is and not deceive themselves that they alone are completely objective, that they alone make no assumptions against which they check events-- that they alone have no worldview. If you don't know you have a worldview, you can't examine that worldview for inconsistencies. Time to wake up and smell the worldview. I think the argument from temporal beginning looks rock solid at first glance. The only way I can see a loop hole is just denying the conclusion and resorting that nothing can change something, but I like to keep away from magic. SPR:"I think the argument from temporal beginning looks rock solid at first glance. The only way I can see a loop hole is just denying the conclusion and resorting that nothing can change something, but I like to keep away from magic." (3)some principle of organizing without a mind is demonstrated (even then one could still argue for impersonal God). (1) is not proved with any data, the only real data backs up t=0. (2) ICR is illogical like a square circle it's not going to be proved. Kristen, atheism may not be a world view in itself but it is inductive of a world view and employ various aspects of a world view, namely the dreaded secular humanism. In saying I don't mean to sanction the stereotypical bromide of the fundies where everything from liberal democracy to Hinduism is "secular humanism." There is a humanist view point and many atheists subscribe to it. Another aspect of world view that typically clings to atheism is reductionism and scientism. I speak of "tendencies" rather than "atheist belief." That is, when I'm careful I do. Metacrock, I agree. I consider myself a "Christian humanist" in the tradition of Erasmus-- as I know you are too, in that we emphasis the value of the human individual-- and I have no argument, generally, with the "humanism" part of secular humanism. I prefer to call the worldview that generally includes atheism, something like "physicalism" or "materialism" (though the latter can get mistaken for love of material goods; ie., greed). Some atheist-physicalist worldviews (especially in the past) have not placed value on the human individual (communism/Stalinism, for example)-- but secular humanism is an atheist worldview that does value the individual and thus is less dangerous than those earlier manifestations. I think that Christian fundamentalism (which is what most atheists think all of Christianity is about) is a kind of theism that does not value the human individual, but subordinates the individual completely to the ideology. I am "fundamentally" against fundamentalism in any form. I think Christian humanists and secular humanists could get along better if they understood one another-- like the Christians and the atheists get along on your forum! Unfortunately just about everyone on CARM, atheist and theist alike, seems to be some form of fundamentalist. I agree with you Kristen. Well said! 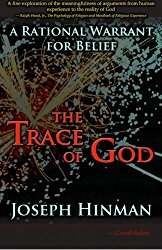 "Secular humanism is an atheist worldview that does value the individual and thus is less dangerous than those earlier manifestations." I think manifesto 2 sux. It think it's indicative a dangerous group that have helped to destroy humanity. I just don't identify everything that' not have favorite deal as that.